Three years after it acquired a pair of drones that it chose not to deploy in response to protests about potential surveillance uses, the Los Angeles Police Department took its first step Tuesday in opening a drone pilot program. The LAPD’s move comes weeks after a majority of the Los Angeles County Sheriff Civilian Oversight commissioners voted they wanted Sheriff Jim McDonnell to stop flying a drone used in law enforcement operations, and as local organizations continue to express concerns about law enforcement drones. Despite the opposition, the LAPD is pushing forward with plans for a pilot drone program presented it Tuesday to the Board of Police Commissioners. Two organizations, the Stop LAPD Spying Coalition and the Drone- Free LAPD/No Drones, LA! Campaign, plan to hold a protest and news conference before the meeting. The chief in 2014 also defended accepting the drones, and said such devices are already being used by private citizens, businesses and sports teams. 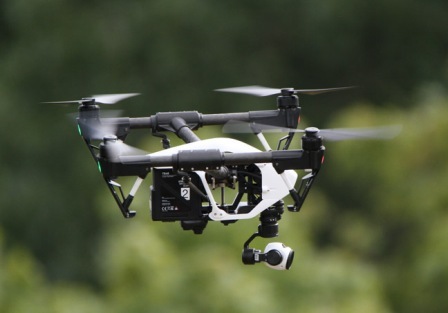 Even if the drones are initially confined to narrow uses, they could easily undergo “mission creep” and be used to invade the privacy of the city’s residents, according to some of the groups opposed to them. “While the whole country is demanding an end to police militarization, a concerted effort to add military-style drone technology to LAPD’s vast arsenal of tactical weapons is underway,” the Stop LAPD Spying Coalition said in a statement. The Los Angeles City Council cleared the way in June for the city's fire department to begin using drones. A Los Angeles Fire Department report on the potential program addressed the issue of privacy concerns and said the devices would not be used to monitor or provide surveillance for law enforcement. Despite the assurance the LAFD drones would not be used for surveillance or police operations, the ACLU and the Stop LAPD Spying Coalition still objected. “We reject the use of these drones because what you have, even in this policy document, is gaping holes for mission creep. So the issue is not if, but when, and we have seen that happen over and over again,” said Hamid Khan of the Stop LAPD Spying Coalition.